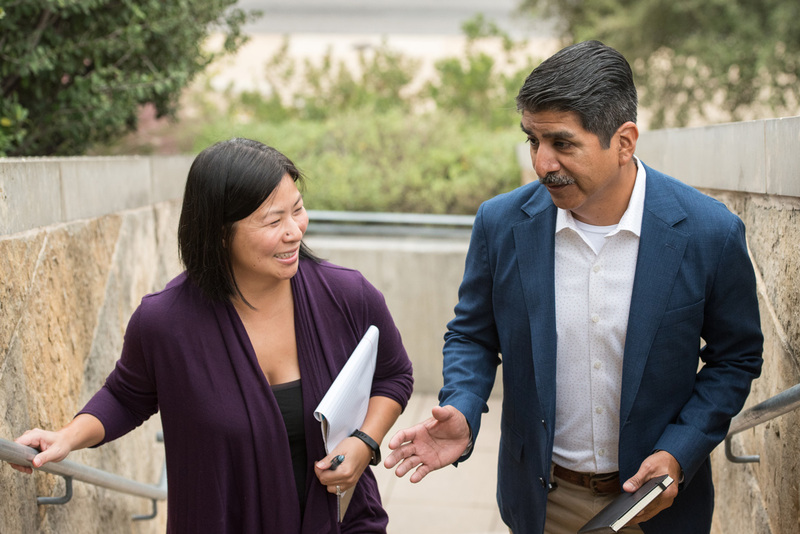 Local leaders who employ technology to break down geographic barriers, share data, connect processes, and engage residents are key to solving the unconnected community problem. Connected communities are the best places to live, work, and raise families. They are built upon a modern digital infrastructure that securely connects essential government information for better service delivery and improved lives. When government operations are siloed, the disconnect can result in inefficiencies, waste, and resident mistrust. These challenges are compounded as you move up through city, county, and regional levels. Local leaders who employ technology to break down geographic barriers, share data, connect processes, and engage residents are key to solving the problem. 1. Build an evidence-based business case for modernizing technology. Pioneers of connected communities are choosing manageable pilot projects that can deliver clear benefits in a short time while providing a foundation for future projects that continue to add value. Metrics that include time saved, cost reductions, and heightened citizen satisfaction can motivate senior executives and legislators to fund new investments. Starting small also allows for troubleshooting before larger rollouts occur. 2. Create a solid technology foundation. An important step towards creating a connected community is to update government applications with modern workflows in mind. One way to achieve this is through a single, integrated platform that standardizes data’s format across operations for seamless, cost-efficient sharing. Attending to the underlying IT infrastructure is also critical. A service-oriented architecture (SOA) enables organizations to combine services into new processes. Part of the SOA frameworks is an enterprise service bus, which provides the necessary digital communications pipeline for data. This is how, for example, a conviction recorded in judicial automatically triggers an update in a case management application. A global view is important to ensure that new applications and system acquisitions can fit into the larger picture that includes shared data and automated workflows. Involving developers and system administrators in the procurement process is a way to capture important data conversion and interconnectivity questions as these can “make or break your connected community implementation budget,” according to Lea Deesing, Riverside, California’s chief innovation officer. In any initiative, communication is key. Connected communities work and grow when government leaders and key staff regularly promote the benefits of the vision. Transforming from paper to electronic workflows, for example, is a process change that can make staff more productive. Download Tyler Technologies’ white paper, Connect for Success, to read more about how you can not just survive, but thrive, in a digital world by uniting data, systems, and people to ensure the best use of public resources. PM Article: Smart City Solutions. This 2018 PM magazine article focuses on how local leaders can find smart solutions to such issues as broadband access. Smart Communities and Data Analytics Report. This report from ICMA and SAS helps local governments identify trends and opportunities for action that make cities and counties more efficient, effective, and sustainable. 10 Must Reads on Smart Communities. This 2018 blog post brings you the most current and important smart community ideas, insights, and leading practices.